View Lawrence Fodor’s bio on Lannan.org. Lawrence Fodor’s kōan boxes are named so in reference to the Zen Buddhist concept of a question that is difficult to answer rationally, but that may be understood intuitively. 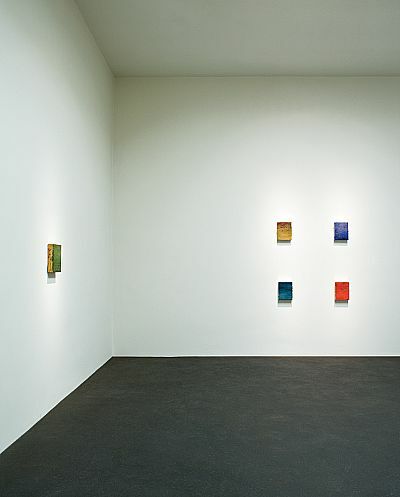 The Japanese origin of the word is literally, “matter for public thought.” Fodor’s boxes are “meditations on color” and the questions he poses are for consideration by the viewer. Like coveted jewels, one cannot help but identify with one or more of the colors presented. Am I sapphire, am I emerald, am I amethyst or topaz? Which color a box becomes is determined in a lengthy process, derived in the studio while Fodor paints his larger canvases. The boxes begin quite literally as a “drop cloth,” lining the floor below the canvases, catching drips and scraps from their relatives above. The color emerges organically, sometimes over the course of a year or more. Lawrence Fodor was born and raised in Los Angeles and resides in Santa Fe, New Mexico. He received a BFA from the Otis Art Institute and has conducted independent study throughout the world in places such as England, Italy, Mexico, and Nepal. 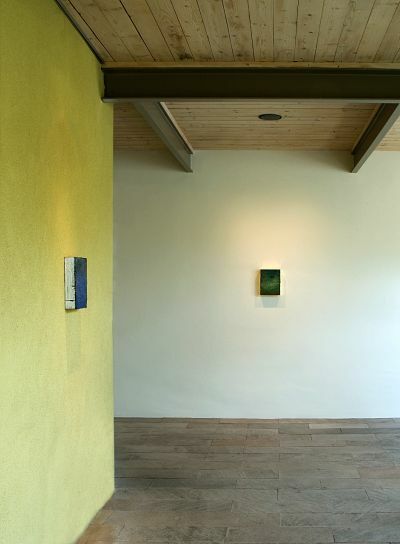 Fodor has exhibited widely in both solo and group shows at venues that include Linda Durham Contemporary Art, Santa Fe; SCAPE, Corona del Mar; and Friesen Gallery, Seattle. 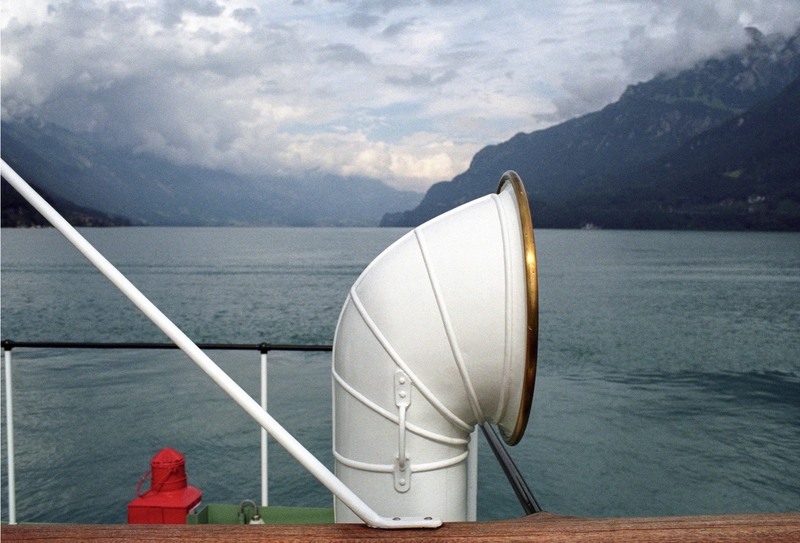 Most recently, Fodor’s work is the subject of a solo exhibition at Friesen Gallery’s Ketchum, Idaho location. 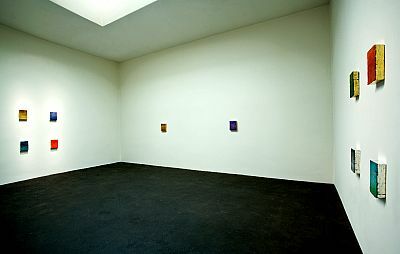 A future solo exhibition is scheduled to open at Linda Durham Contemporary Art in July 2009. His work has been reviewed in several publications including Art News, Santa Fean Magazine, and the The Santa Fe New Mexican. 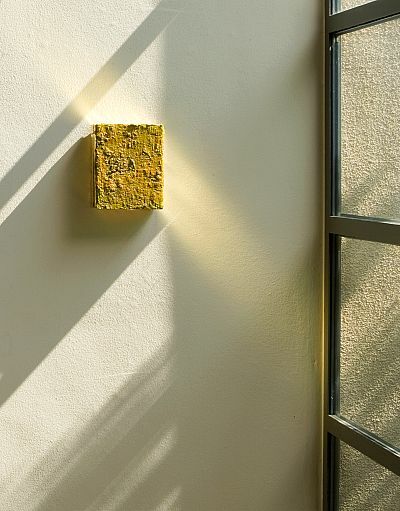 In addition to numerous private collections, Fodor’s paintings are in the collections of the Lannan Foundation, the Wichita Art Museum, and the Embassy of the United States of America at Dar es Salaam, Tanzania. For more information visit Mr. Fodor’s web site at www.lawrencefodor.com or contact Christie Mazuera Davis at Lannan Foundation christie@lannan.org.